Your eCommerce organization’s online store is the heart of your business. Your webpage is the first glimpse potential customers will get of your product. A good-looking and well-functioning page is therefore critical to building your brand. Additionally, a site that performs slowly can lead to abandoned carts, a critical source of lost revenue for eCommerce businesses. Recent estimates suggest that about 75% of shoppers abandon their carts before completing a transaction. A staggering 86% of shoppers abandon their carts well before completing checkout on mobile devices. 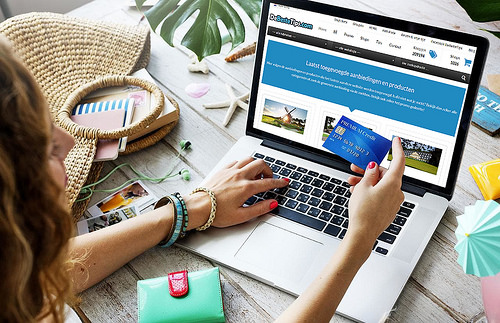 Providing a faster shopping and checkout experience can, therefore, help drive conversions and increase your revenue. That being said, how can you speed up Magento 2 and improve customer experience? Here, we review several of the key reasons why Magento may be running slow and how to fix them. First, make sure that your site is running on the Magento 2 platform. Magento recently announced that it will only provide support for Magento 1 through June 2020, prompting many to begin planning the transition to Magento 2. Critically, Magento’s testing has found that Magento 2 is significantly faster than Magento 1. In small merchant tests comparing Magento 2.0 and Magento 1.14.2, the company found that Magento 2 enables up to 66% faster server response times for add-to-cart. It also delivers 48% faster checkout times in guest mode and 36% faster with combined checkout steps. Additionally, it processes 28% more orders each hour. Magento 2 provides an even bigger boost to high-volume sites. It processes 39% more orders per hour, enabling a 66% faster add-to-cart server response time, and delivering 51% faster guest checkout times. In short, if you have not yet migrated to Magento 2, start planning your transition now. Making sure that all images are optimized and displayed properly will also speed up your site. Use web resolution rather than print resolution images, and scale down each image to best fit the format where it will be displayed. Ask your designers to provide appropriately-sized images, if necessary. You can also reduce an image file size up to 50% by using image compression with lossless quality. As an added bonus, these steps to optimize images can save server bandwidth in addition to reducing loading time. An unusually slow site may mean that a third-party extension is slowing it down. Even if your site is running normally, it makes sense to conduct periodic audits of all of the third-party extensions your site uses. Magento 2’s core code is powerful, and while third-party extensions can provide benefits to your site at the margins, they are unlikely to fundamentally improve the core code. Extensions written by third parties may, therefore, be inadvertently slowing down your site. Conflicts between multiple extensions written by different third parties may also cause problems with speed optimization. Through an audit, inspect every installed third-party extension. One by one, turn each module off (you will need access to the server to do so), clear all caches, turn it back on, and see if the site’s speed changes. Additionally, you should test the front page, category pages, checkout, and all other important page types during the audit. If you find a particular extension is causing issues, you can write to the vendor, who may be able to fix the problem or provide a refund. Choosing the fastest hosting that fits in your budget will also help ensure that your site runs smoothly. Your hosting plays a key role in your site’s overall performance, and Magento 2 has particular technological hosting requirements. Among these, it is important to have an SSD (solid-state drive) and at least 2G of RAM. It just doesn’t make sense to run a powerful, well-engineered Magento 2 site on a cheap server. IronPlane provides custom hosting that is built to support the unique needs of your store. IronPlane Hosting is a custom architecture that is a hybrid cloud environment with dedicated and multi-tenant cache, database, application, and search servers. IronPlane’s custom hosting is designed for scalability during high-traffic periods. It also features the highest quality hardware from HP, Cisco, IBM, and Juniper. IronPlane also provides monitoring and emergency support 24 hours per day, all year long. Reach out to our team to learn about how our hosting architecture can speed up your site, with minimal hassle to you. Magento 2 comes equipped with a wide variety of performance optimization features that can speed up your site and drive conversions. However, these features must be configured properly. That’s where IronPlane comes in. We are a full service, U.S.-based Magento agency ready to provide custom eCommerce solutions for your business. If your site is experiencing unexplained issues with order processing or running slower than expected, it can help to have a fresh pair of eyes review code, server architecture, and site organization. In our custom code review process, we create a full copy of the current version of your site within our development environment. We then conduct a comprehensive review of security and vulnerabilities, core Magento files for changes, theming structure, and all extensions. We provide an estimate of all repair items uncovered during our audit. Additionally, we are able to provide ongoing support after this work order if requested. Our team can help speed up Magento 2 and improve Magento 2 performance. Book an appointment to get a free estimate today.